This is one of my favorite ages to buy gifts for. Their creativity is really thriving at this point and my girls are always into anything princess at this point. 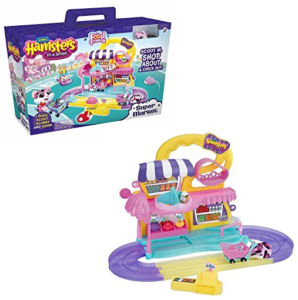 If your kids like Hamster in a House, they’ll love the Series 2 Food Frenzy. Watch the little hamsters zoom around the super market and check them out with the register. Let’s face it, kids are rough on cameras, but they’re fascinated by them. The Kidizoom Action Cam 180 is perfect for this age group. It’s a rotatable camera that lets you take photos, selfies and lets you take videos in slow or fast-motion. 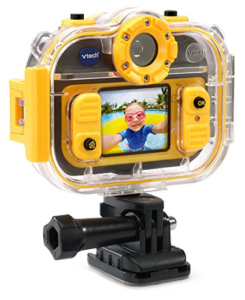 The case is water-resistant for use up to six feet underwater. If there’s nothing interesting to shoot, the kids can play one of three included games. This little cruise ship holds up to 30 pets of various sizes. There’s a lot to do on this ship, like dancing on the dance floor, rock climbing, surfing and even ziplining. 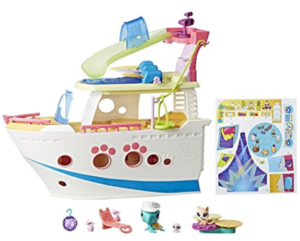 They can also pretend their pets are hanging out on deck or in their cabin. This cruise ship looks so fun that I want to sail on it. 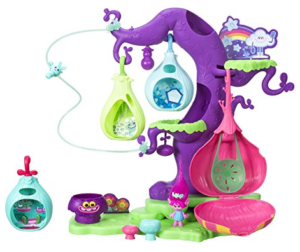 Kids can build and explore their own version of the Trolls village with the Troll Tree. It’s over 16 inches tall and you can customize the tree by moving around the pods. To movie around the tree, the Trolls will clip their hair to the zipline. The tree also has a slide for the Trolls to get down quickly. This castle features six rooms, each inspired by a different Disney Princess character. The included princesses are Rapunzel and Belle and you can make then dance on the downstairs dance floor. The castle has a frying pan elevator for the dolls to ride from floor to floor. 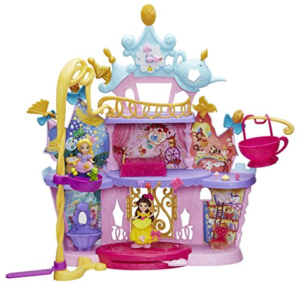 Your kids can even accessorize Belle and Rapunzel with the included Snap-ins pieces. 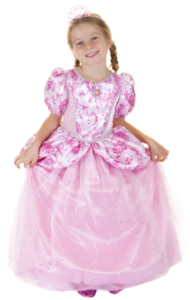 If your little girls like to play dress-up, they’ll really love this Pretty in Pink dress. My favorite part is that it features a double hoop for extra fullness. This little dress is so elegant and looks like it just came right out of a Disney movie. The layers of skirt are covered in pretty glitter that she’ll love. 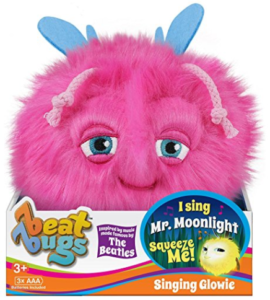 The Beat Bugs Glowies are cute little creatures inspired by the Emmy award winning Netflix show and they sing songs from The Beatles. This particular Glowie will sing your little one Mr. Moonlight. Just squeeze the Glowie and she’ll start singing. 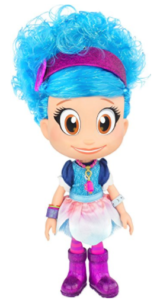 Luna Petunia Dolls are 14″ tall and your girl can brush and style her hair (because it’s the most fun thing about dolls). When her necklace is pushed, sounds from Amazia are activated with some of Luna’s signature phrases from the show. Who doesn’t love Care Bears? They’ve touched a lot of lives over the past 35 years spreading a message of empathy and kindness. 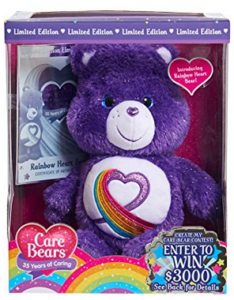 Rainbow Heart Bear is covered in beautiful, special sparkles. Spirit Riding Free is an all-new Netflix series from DreamWorks, it follows the adventures of three best friends and their horses. 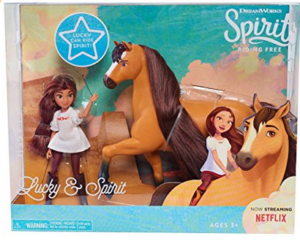 This set features Lucky and her wild mustang, Spirit. The horse features life-like movement and even makes horse noises! My favorite part is that when Lucky feeds Spirit carrots, she eats them. 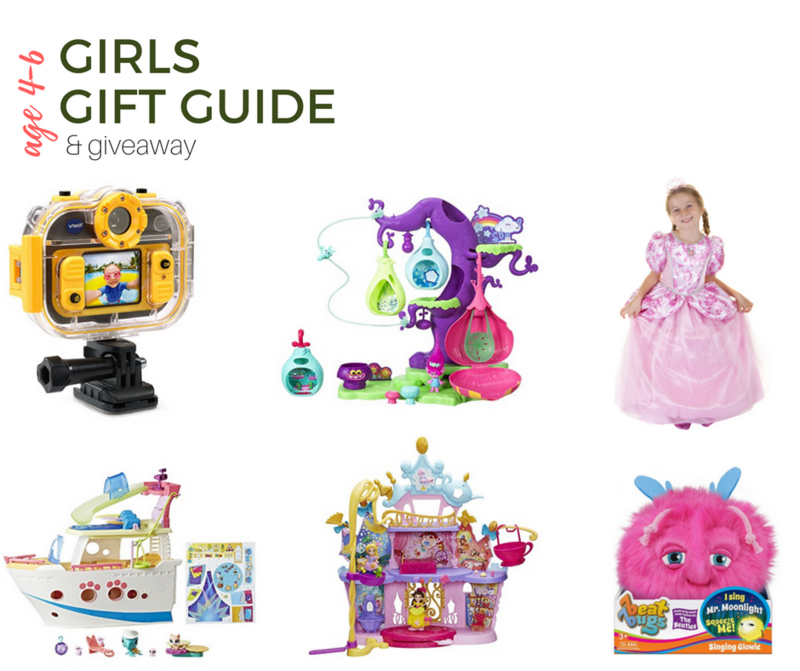 This giveaway is sponsored by Zuru, VTech, Hasbro, Great Pretenders, Beat Bugs and Funrise.